Barrias' plaster model of Les Premieres Funerailles was exhibited at the Salon of 1878 to great critical acclaim, earning him a Medal of Honor. 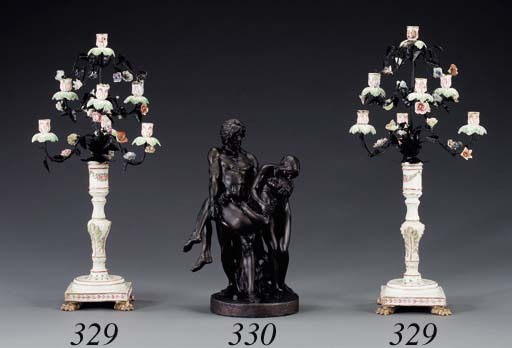 The marble version was exhibited at the Salon five years later and again at the Exposition Universelle of 1889, where it was acquired by the city of Paris for the Hôtel de Ville. Aside of its biblical representation, that of Adam and Eve supporting their murdered son, the group is allegorically symbolic of the countless young lives lost during the Franco-Prussian war.